I want to be open as I begin this article; I like the LinkedIn site very much, and I find a lot of interesting articles and perspectives. But I have noticed a few problems with the site as well, due not to glitches so much as its design and apparent purpose. LinkedIn is a great place to read articles if you are finishing school and getting ready to go job hunting, if you are moving and need to job hunt, are considering a career change and need to job hunt, and … well, the pattern is clear. The site is also useful in advice for companies trying to find good employees, or for people thinking about starting their own business. That is, LinkedIn is set up for starts and beginnings. That’s fine, so far as it goes. But LinkedIn is pretty empty for effective articles on developing employees, long term competitive advantage, or ironing out inter-department issues. Sure, they have articles on such topics from time to time, but the published articles often turn out to be little more than collections of buzz words or self-congratulatory commercials. A big part of the reason, I think, is that LinkedIn does not operate as a genuine forum, but is rather a tiered community of haves and have-nots, and anyone outside the acknowledged hoi polloi is expected to simply read and applaud. An example of this is LinkedIn’s section devoted to ‘Influencers’. Generally, an ‘Influencer’ on LinkedIn is someone who owns or runs a company (or worse, is already a media parasite or politician), and who has established a virtual pulpit from which they preach their message. While readers are free to respond, they in no way enjoy a level field. What’s worse, the ‘Influencer’ articles are often politically biased, disrespect the character and perspective of many readers, and/or toss out broad assumptions with next to nothing for support. The articles provoke a lot of comments, sadly often because they present weak arguments or are laughably illogical, for which readers take the ‘Influencer’ to task. Many LinkedIn members have already noticed that some ‘Influencers’ toss of shamefully biased articles with no apparent oversight by the website’s management – it seems to be only a matter of time until someone at LinkedIn has to write an apology for some ‘Influencer’ who goes too far over the line. 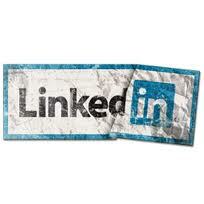 The problem is that LinkedIn does not exist to provide an affective resource to professionals. If someone benefits, that’s great but it’s frankly unintentional. LinkedIn is taking the road of mass media, which is all about traffic and ratings. More is better, ‘quality’ is just ‘quantity’ misspelled. And to LinkedIn, there’s no such thing as bad publicity, even if their credibility dies a slow death on the way to short-term profits. I write this as a member and fan of LinkedIn, but one who fears the site has begun some bad habits, the kind that could kill the site of they are not mended.